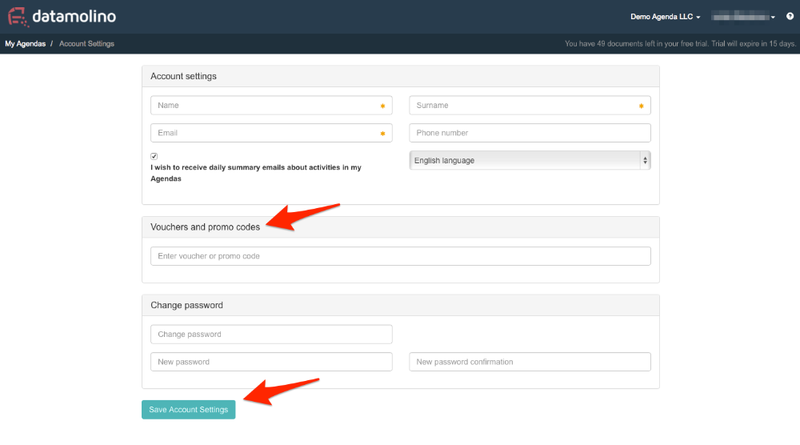 There are two basic ways for adding eventual vouchers/ promo codes. 2. Or after the registration in your Account settings. Enter your promo code and then click on "Save Account Settings".